The Kurdoğlu Yalı, built in 1906 for a pair of female twins of Sultan Sara, is also known as the Twin Yalı (Turkish: İkiz Yalı). 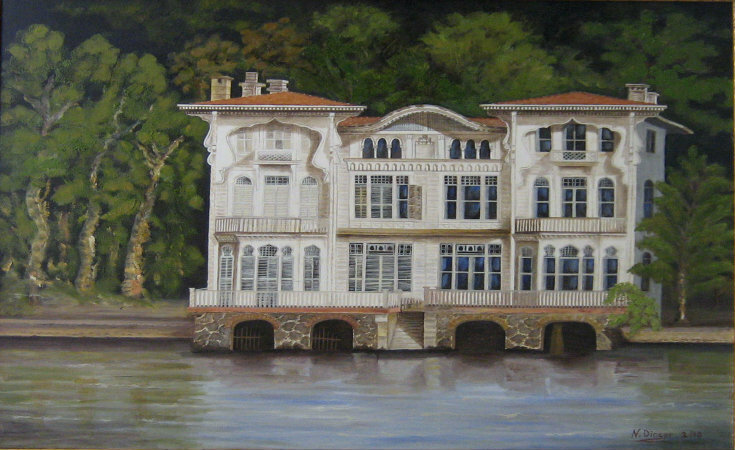 The Kurdoğlu Yalı, built in 1906 for the twin daughters of Sultan Sara, is also known as the Twin Yalı (Turkish: İkiz Yalı). It is on the Bosphorus shore at Yeniköy and consists of two separate but identical, three-story wooden buildings. Subdivided and sold over the course of years, another name for the houses is the Faik and Bekir Bey Yalı. Originally built and designed by Raimondo D’Aronco, they are stıiil among the most beautiful structures on the Bosphorus. Today the buildings are privately owned .